It's very common knowledge that Boucleme is my favourite hair care brand. I know as a blogger you shouldn't openly show loyalty to one company, but the Curl Cream is my long-time MVP. 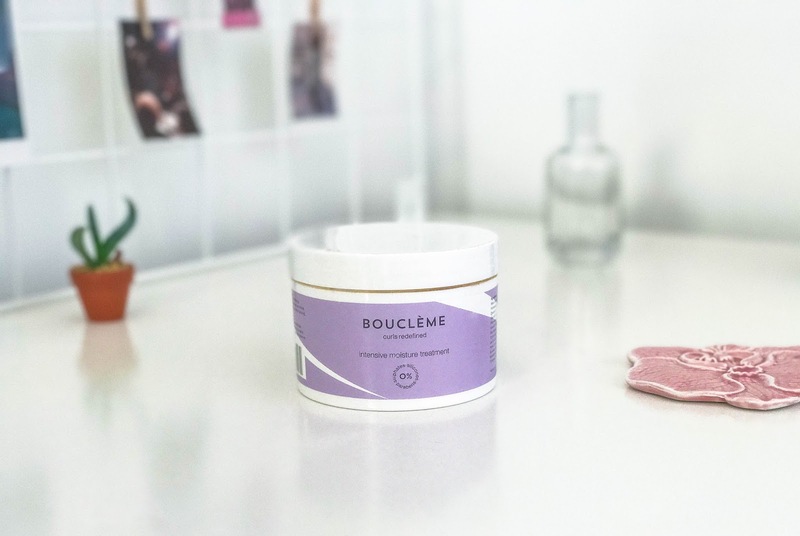 With two shampoos, a conditioner and two styling products, I didn't think there was anything missing from the range... until the Boucleme team gave me the Intensive Moisture Treatment. A few months ago I got box braids and they left my hair dry and extremely thin. That combined with the bleach, I am not in a good place right now. The Intensive Moisture Treatment is ultimately an extremely moisturising deep conditioner containing Marula Oil, Mafura Butter, Camellia Oil, Prickly Pear Seed Oil, Sea Buckthorn Oil. Each key ingredient packed with vitamins to help stimulate hair growth. I've used the treatment a few times now and I LOVE how it has made my hair feel. The first time I left it in overnight and then washed it and styled as normal, my hair felt like silk! The second time I only left it in for about forty minutes but as suggested from Rachel at Fluorescent PR I didn't fully rinse the treatment out and then went on to style my hair. Both times my hair looked and felt more hydrated, defined and fuller. Next weekend I'm going to take it a step further and add some olive oil to the mix and I'll let you know how I get on.